The Specie Redemption Act, passed on Jan. 14, 1875, mandated that as of Jan. 1, 1879, gold coins would be exchangeable at par with paper bills--for the first time since the end of 1861. This ensured that paper currency of one dollar or more would be backed by gold, and that the government would gradually reduce the number of "greenbacks" in circulation. Western silver miners, who had been increasing in wealth, power, and political influence in the 1870s, wanted more. 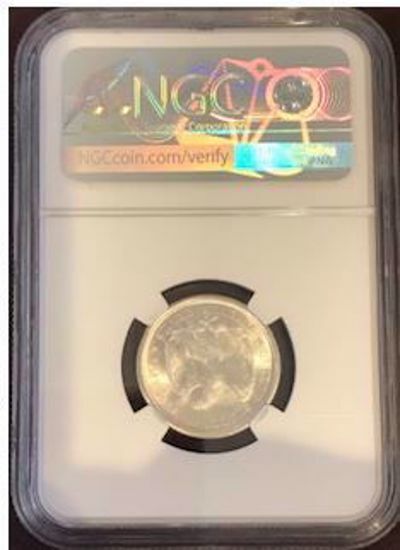 The silver twenty cent piece was introduced in that same year, even though it was confusingly similar in size and design to the quarter (the Susan B. Anthony dollar was still far in the future). 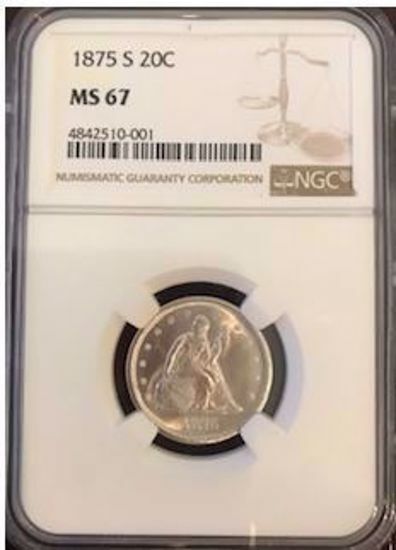 This marvelous Superb Gem type coin, from the generous first-year S-mint production (it is not a coincidence that most examples were made in the West, at both San Francisco and Carson City), is one of only eight coins so graded at NGC, with a single piece finer. Radiant cartwheel luster flows from both sides, and silver-white surfaces are expectedly pristine, even under a loupe. The surfaces are boldly struck, unabraded, and problem-free A Blast white Gem if ever there was one! NGC Population of 8 with only one graded finer.